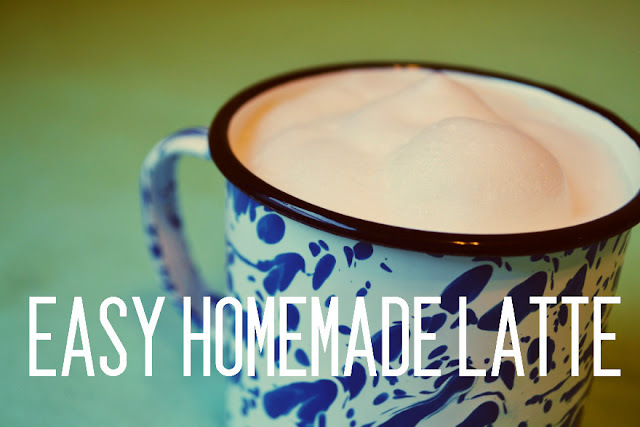 Somewhere in the back of my mind, I always knew I could make foamy milk for lattes at home, but I was still surprised by how easy it was! I was heating up milk for my coffee when I grabbed my flat whisk and thought "I wonder..." Sure enough, the hot milk foamed up like magic and I had myself a poor girl's latte! Ok, let's make a latte! 1. Make your coffee. Make a little less then a full cup, so you'll have room for the foam. You want strong coffee for this, so poor it through the coffee filter twice (that's the "poor girl" part, haha). 2. Put the milk in the sauce pan and heat it over low-medium heat. 3. Watch your milk carefully. It can burn easily! After about 3-5 minutes test the temperature with your finger. It should be nice and warm. 4. Start whisking! It should start foaming up immediately. If it doesn't, let it heat a little longer. 5. 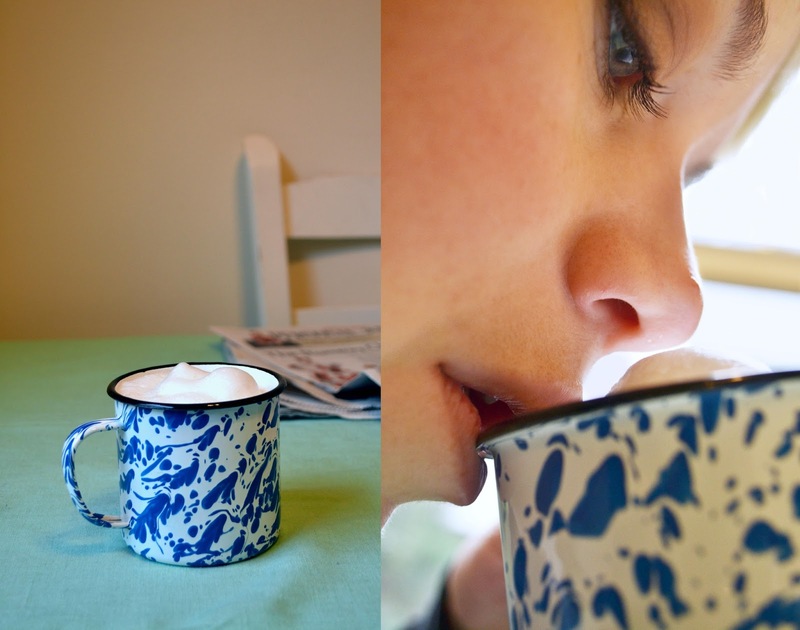 Poor the foamed milk into your coffee. Enjoy! exactly what I need right now! 5 ways to get your 5-a-day!